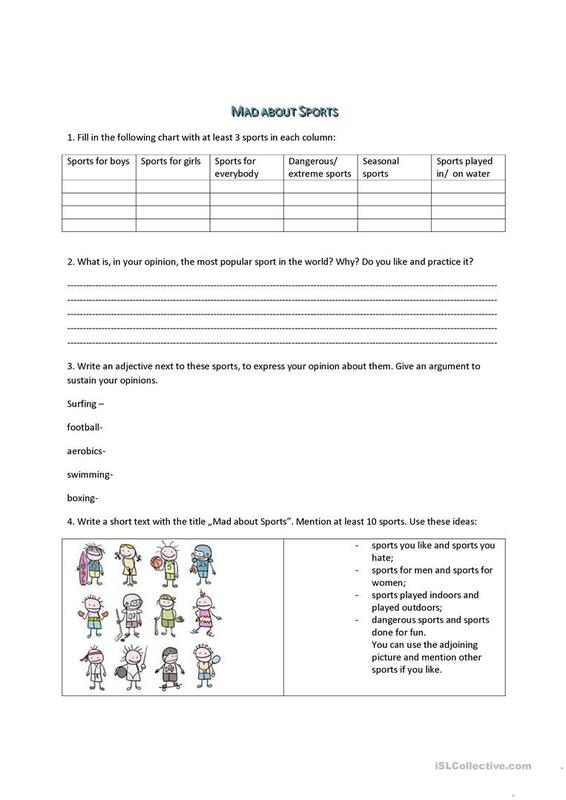 This can be used to test the students' knowledge on sports or as a worksheet to prepare a project on sports. The above downloadable teaching material is recommended for elementary school students at Pre-intermediate (A2) and Intermediate (B1) level. It is useful for improving your pupils' Writing skills. It is focused on the topic and words of Sports. ioanara is from/lives in Romania and has been a member of iSLCollective since 2012-09-20 14:00:09. ioanara last logged in on 2014-12-17 17:56:10, and has shared 6 resources on iSLCollective so far.